There are few things a bureaucrat hates more than a citizen on a mission. And there are few citizens with a more detailed grievance than Mel Sheridan, resident of Hayle since May 2002, and whose house has for more than 10 years been one of the focal points of the town’s mysterious underground water courses. 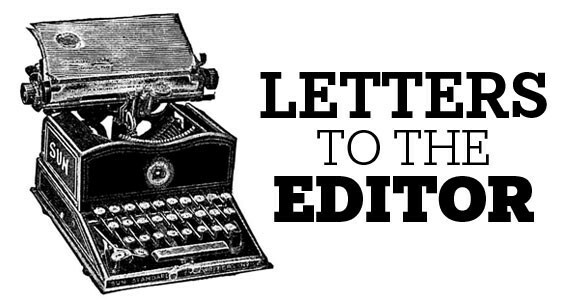 Mel’s kitchen table groans under the weight of letters, maps and unpaid water bills. 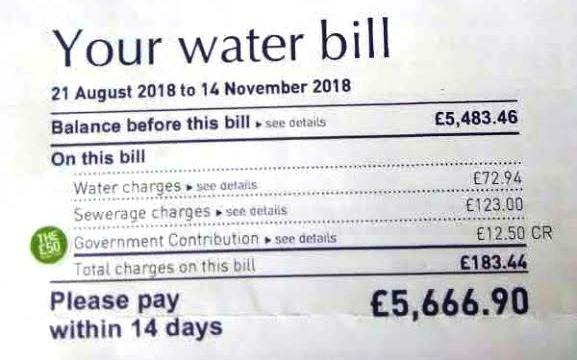 South West Water appears to have abandoned its demand for £5,666.90. It was the winter of 2006 that Mel first noticed that Tremeadow Terrace, immediately outside her smart, Victorian-era end-terrace home, appeared to be sinking. There was no obvious cause, and Mel knew that there was no record of mine workings in the area. Mel told Cornwall Council and South West Water. Nothing happened. Twelve months later, the subsidence was turning into a small pond. Mel again called the council, and – suspecting a burst pipe - again told South West Water. Again, nothing happened. A further 12 months passed before Mel noticed a slight crack in the wall of her house, immediately next to where the road was continuing to sink. In January 2009, South West Water began a programme of works which included “re-sleeving” some of the old cast iron supply pipes which zig-zag beneath the surface of Hayle, and which were once part of the town’s mighty industrial heritage. It is not clear if SWW, or its sub-contractors, knew which supply pipes they were supposed to repair, which were historic sewage or drainage pipes, and which were simply obsolete. It would have taken a detailed, meticulous and exhaustive research programme, delving deep into the archives, to be certain. Over the past 10 years, SWW has never suggested to Mel that it did actually undertake such a research programme. 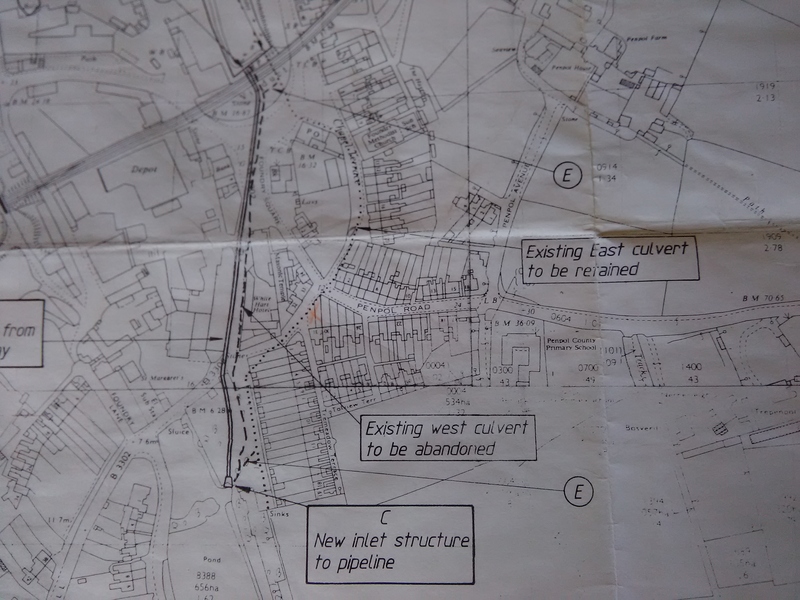 What is known is that in the 1980s, as part of a flood alleviation programme, SWW did investigate the route of some of the historic culverts and produced its own set of maps which – had they been studied in 2009 – might have alerted the company to some of the issues ahead. At some point between January and March 2009, a SWW “pipe-bursting” exercise, a pre-requisite to re-sleeving, completely smashed the pipe outside Mel’s home, where the road had already been sinking. It was a further three years before this damage to the pipe was recognised. In July 2009, Cormac arrived on site to consider repairs to the highway but was unable to trace source of water. Cormac nevertheless attempted a temporary fix with a granular fill. Over the next three years Mel's house was chronically falling apart. There was further subsidence to the road and renewed pooling of water. Throughout the period 2009-2012 Mel contacted SWW and urged them to investigate properly, suggesting the use of a subterranean camera. SWW told Mel they believed any old water course was probably a culvert underneath her home, and therefore it was her responsibility. On 16th April 2012, SWW, Cormac and the Environment Agency all turned up, with a suction pump, intending to clear all of the water from the hole in the road. This operation not only found the old cast-iron pipe, it snapped it – in the highway. Tests established that the water flowing through this pipe was not chlorinated and that its source was probably an historic supply. The complexity of the issue was compounded by the fact that only a few yards away there are separate surface water storm drains and sewage pipes. 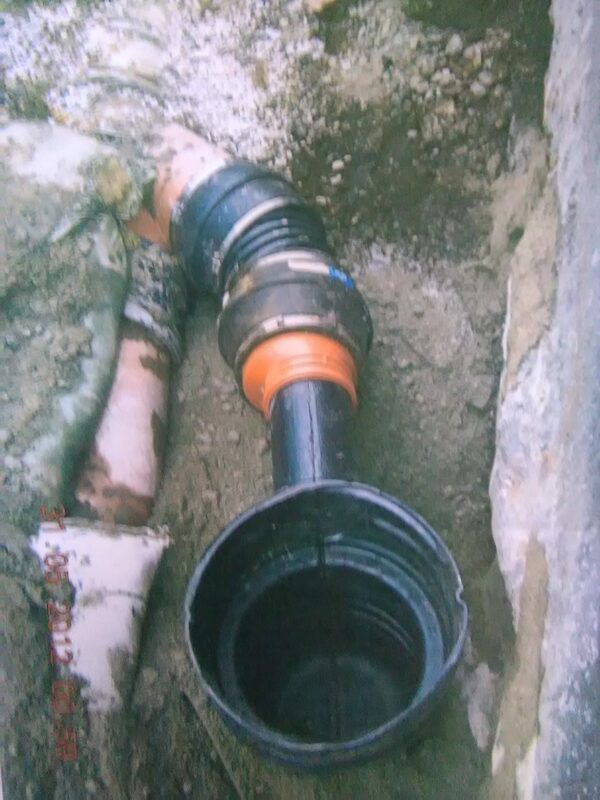 On 25th April 2012 the pipe was fixed with new joints and a sleeve. The hole in the road was left open and a lintel was put in to stop Mel’s house falling into it, and to protect the pipe. On 21st May, Cormac again resurfaced the road, and everyone went home thinking the job was finally done. But three days later, there was more water. SWW contractors May Gurney immediately identified an open sewer, previously – apparently - not noticed. By this time the various agencies, and Mel’s insurers, had all started to squabble about liability. Mel also decided that enough was enough, and stopped paying her water and council tax bills. It had finally dawned on everyone that the issues involved in identifying exactly what is buried underneath the surface in Hayle could be extremely expensive. By 2013, Mel’s home needed underpinning. The saga of the continuing roadworks started to attract interest from local media. Today, the case of the roadworks that refuse to go away continues to attract media interest. All we know with 100% certainty is that there is still a hole in the road. And the authorities are looking into it. Cornwall's economy is on the slide - and is "the least productive in Britain"